The spicy bouquet of authentic Italian cooking wafting from the kitchen at Pete’s Place has been luring travelers through the blackjack covered hills of southeast Oklahoma since 1925. Not a lot has changed since those days. 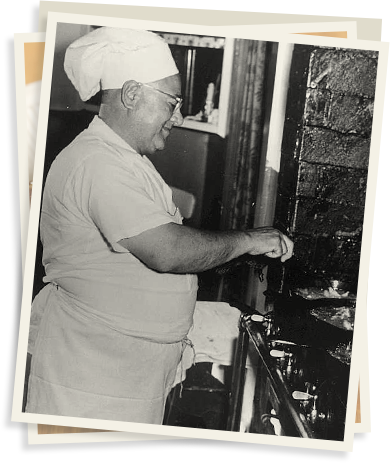 Four generations later, we’re still the same family, in the same location, serving up the same traditional Italian recipes we’re famous for. And the choc® beer served today is made with the same old recipe passed down from generation to generation— with one marked difference: all the choc brews you’ll enjoy are now legal! Today, Joe and Kathy Prichard are carrying on the family tradition of great Italian food and handcrafted beer, and when they say, “You’re invited to our house for dinner,” they mean it! Pete’s Place Gift Cards Perfect for any occasion.